Multisensory instruction can help kids who struggle with writing in more ways than one. That’s because handwriting involves more than just making letters on a page. It requires strong fine motor and visual-motor skills. Here are some multisensory techniques to try. Does your child have trouble staying within the lines when she writes? Download wide-ruled paper with bold lines at the top and bottom with a dotted line in between. This can help her see barriers so her letters don’t drift. You can also trace the top and bottom lines with glue. 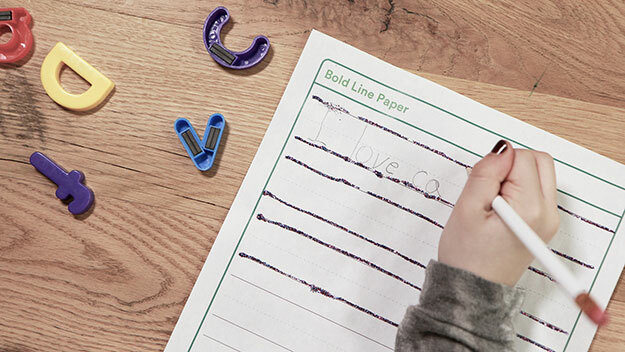 When it dries, your child’s pencil will “bump” the lines as she writes. Remind her that tall letters (like T) go to the top line, and that smaller letters (like c) should fit between the bottom and middle lines. 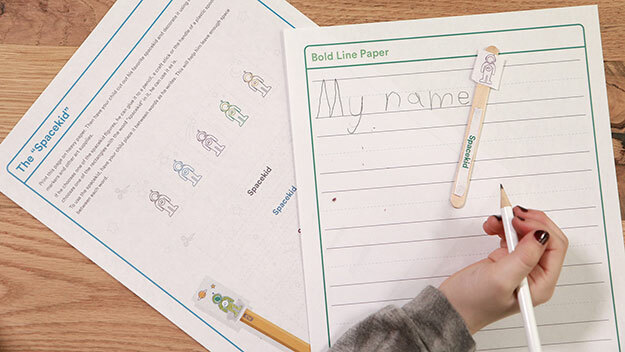 Tracing is an effective way to teach handwriting. 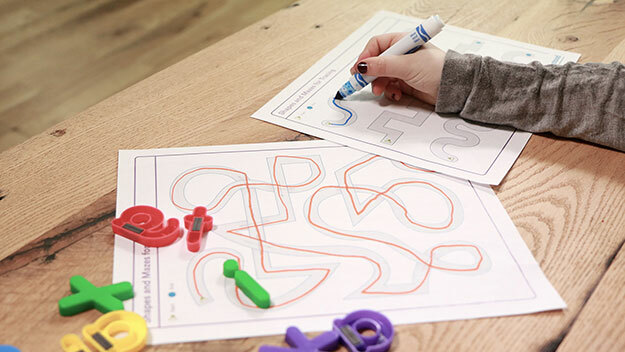 By having her trace shapes and maze-like paths from left to right, top to bottom, or through jagged and curvy lines, you can help your child develop fine motor control. This can also help her learn how to orient her movements from top to bottom and left to right. Mazes can also help your child practice staying within a designated space. Download mazes and tracing worksheets for your child to use. You may have heard of the Wet-Dry-Try app from Handwriting Without Tears. But you can do a low-tech version of the activity, too. All you need is a small chalkboard, a sponge cut into small cubes, and a piece of chalk. Have your child wet a sponge cube and squeeze it out so it’s not dripping with water. 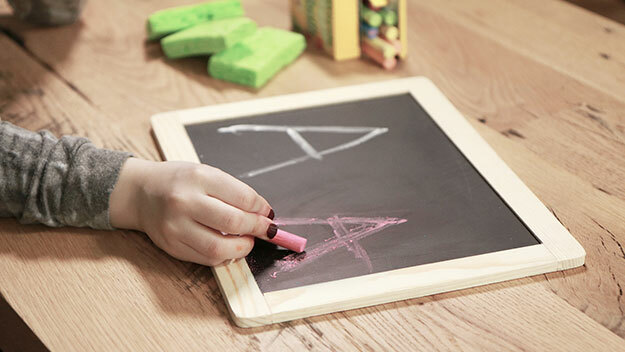 Write a letter on the slate so your child has a model. Next, ask her to write the letter using a wet sponge. Then ask her to trace it with a dry sponge. Finally, ask her to write the letter using chalk. As she writes, have your child place her Spacekid down at the end of each word. She should start the next word on the other side of the Spacekid tool. 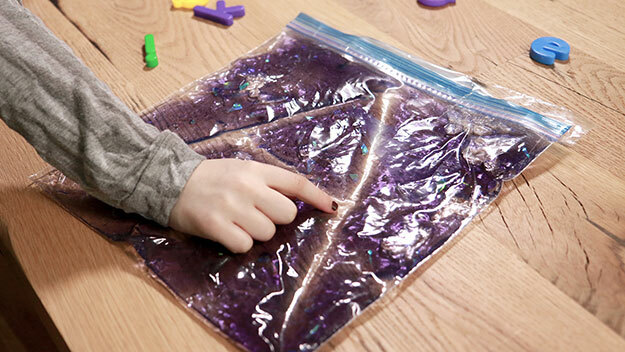 Fill a freezer-sized ziplock bag with a couple dollops of colored hair gel. (You could also use clear hair gel and add food coloring or glitter.) Seal it tightly, taping over the top to make sure it stays closed. Have your child place the bag on a table and smooth it out until it’s flat. Ask her to use her finger or the eraser end of a pencil to practice writing words or letters. The resistance of the hair gel will help her feel how the letters are formed. Your child may have trouble making her letters the correct size. For example, she may write dOgS instead of dogs. This activity uses hand positions to help your child understand letter size. Start off with the word boy to practice. For tall letters like b, your child points her thumb up to the sky. For small letters like o, she makes a fist to indicate grass. 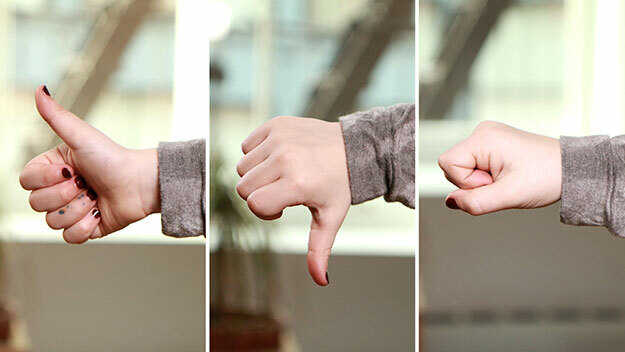 And for descending letters like y, she points her thumb down for ground. This special edition of Growing Readers was created by Understood, a free online resource for parents of children with learning and attention issues. This article originally appeared on Understood.org.